A delightfully delicious combination of orange, lemon and grapefruit!! Handmade, preserved to perfection since 2003. 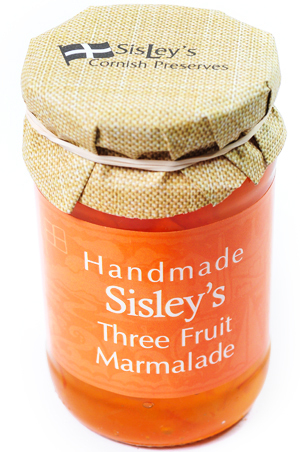 Whether preserving quinces in jellies, apples in chutneys or oranges in marmalade,Sisley’s have found a way to preserve the fresh flavour of all four seasons. Using handmade methods,they have discovered how to bring out the best in some of the most unusual ingredients.